Want to Close Sales Faster? Want to Build Your Brand? Bring Marketing & Sales Together? What is the Difference Between Inbound and Outbound Marketing? How Long Does SEO Take & When Can I Expect Results? What are the Benefits of SEO for Your Business? Today, there are many different options for businesses that want to update your website. Spend any time watching popular programs on television and you’re likely to see ads for the different options. Many of these website builders offer drag-and-drop design options for free, with the ability to upgrade in order to pay for advanced features like eCommerce shops, analytics, or professional website templates. Many of our clients come to us wondering about these services. Since they are so cheap compared to paying for a custom designed site, they want to know whether or not it would be a smarter choice for them just to use a website builder. In some cases, it is a better idea. You do save a lot of money, but there are some things that you should know. Those website builders are not always what they are cracked up to be. Yes, the base version of the software is free. But the features that you really want — the features that add functionality to online businesses — do cost money. In the end it is probably a better idea to buy a custom website from a seasoned professional. 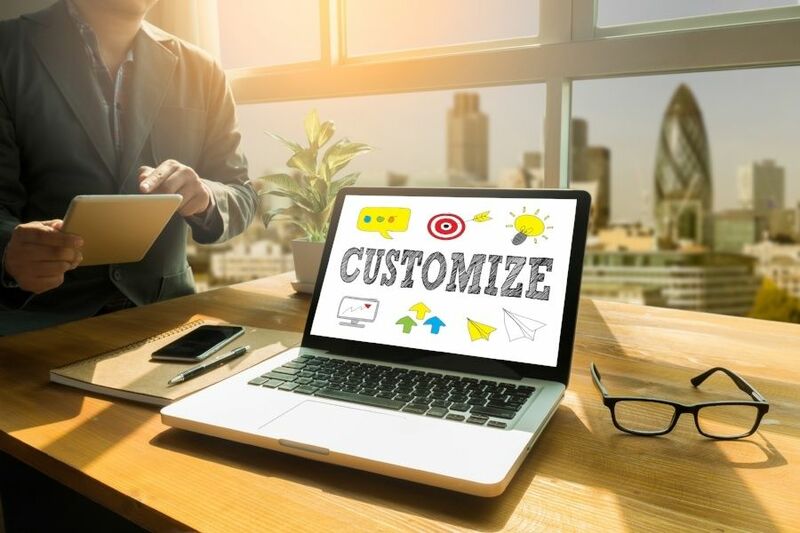 When you buy a custom website instead of creating your own, you get a level of customization that you would not be able to enjoy through the popular websites builders. Yes, they offer a range of different templates and plugins that can extend the functionality of the website, but there will always be limitations that you will have trouble getting around. Hiring a website designer ensures that you can continue to customize your website long after the initial version is launched. What if, six months down the road, you decide that you need an important feature that your chosen website building software doesn’t offer? That’s a problem. Most of the popular website builders don’t have any options for coding your own solutions to extend the functionality of the website, but a custom designed website can be changed, altered, or extended in any way that you see fit. What you want out of your website today may not be what you want out of it a year from today, particularly if you find success in digital marketing. You always want to choose a solution that is scalable with your business, and that just isn’t what most website building software solutions are offering. One of the most overlooked downsides of using a website building solution and doing it yourself is that you lose out on a lot of the advice and consulting that comes with engaging with a professional website designer. Sure, you might be able to put together a website that looks and performs decently using the out-of-the-box solutions, but will you follow all of the best practices that lead to success? Do you have someone to turn to in order to ensure that you are using marketing tools effectively with your website? Most companies don’t have access to these things if they don’t engage with a consultant who can help. Don’t overlook expertise. When you engage with a website designer, you’re getting more than just a design your website. You’re receiving important digital marketing knowledge that will help guide your digital operations to success. Not all website builders have in-depth SEO tools to help you ensure that your customers are able to find you. In fact, many of the drag-and-drop editors included with these solutions are hard to use at best and buggy at worst. When you have your website designed by a professional consultant, you can ensure that all of the SEO best practices are followed. While you can ensure that a lot of the best SEO practices are followed on a self-designed website, there are many technical aspects that are going to be difficult to install when using a website builder. In the end, your ability to rank for keywords that your customers are searching for will play a key role in the success of your digital marketing operations. You have to make sure that you are setting yourself up for success, and it’s hard to be confident that you are if you aren’t using an experienced consultant to help guide you through the process. Once you establish a reliable digital presence, the amount of web-related work that you will want to have done will grow exponentially over time. There will be graphic design, landing pages, alterations to your website, advertising campaigns, and a host of other tasks to be completed to ensure that your digital presence continues to grow over time. You’ll have to engage with a consultant at some point (or hire in-house, which is a bit riskier) to ensure that you are approaching things in the right way. Often, clients come to us for advice on marketing only to find that their website isn’t up to date and will present a problem when it comes to getting found online. In these cases, we are forced to advise our clients that a new website will be necessary to compete at the level that they are hoping to within their industry. For this reason (and others), it is best to establish a partnership with a designer right out of the gate, rather than waiting until it is absolutely necessary. When the time comes to make those tough and expensive digital marketing decisions, you want to make sure that you have a trusted advisor that you can turn to rather than scrambling to find one at the last minute. A professional website is only a small part of your overall digital marketing strategy, but it is a necessity for all others pieces to work well. While using a cheap website builder might seem like a frugal way to get started on building your digital presence, in the end it may just become a burden and require that you engage with an experienced consultant anyway. A professional digital marketing agency is more than a website design company. They are a trusted digital marketing confidant that will help you to make the right decisions for the digital future of your business. At RiseFuel, we love to power business growth through marketing automation, sales enablement, and inbound marketing. We also love to share our insightful tips and tricks so that we can help folks learn about a variety of topics. Our mission is to fuel marketing success one article at a time. Copyright © 2018 RiseFuel. All Rights Reserved.